The highly radiopure ≃ 250 kg NaI(Tl) DAMA/LIBRA set-up is running at the Gran Sasso National Laboratory of the INFN. 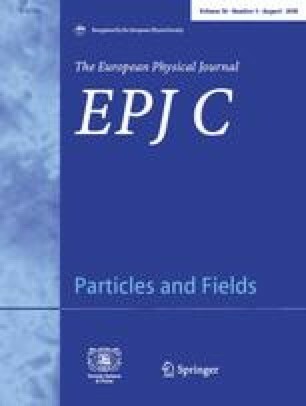 In this paper the first result obtained by exploiting the model independent annual modulation signature for Dark Matter (DM) particles is presented. It refers to an exposure of 0.53 ton×yr. The collected DAMA/LIBRA data satisfy all the many peculiarities of the DM annual modulation signature. Neither systematic effects nor side reactions able to account for the observed modulation amplitude and to contemporaneously satisfy all the several requirements of this DM signature are available. Considering the former DAMA/NaI and the present DAMA/LIBRA data all together (total exposure 0.82 ton×yr), the presence of Dark Matter particles in the galactic halo is supported, on the basis of the DM annual modulation signature, at 8.2 σ C.L. ; in particular, in the energy interval (2–6) keV, the modulation amplitude is (0.0131±0.0016) cpd/kg/keV and the phase and the period are well compatible with June 2 nd and one year, respectively.